So, I go in to check on my second set of cakes which are still colonizing this morning and I see a greenish tint to about 3 of my six cakes. Since Trich just struck me yesterday; I'm thinking I might be screwed. I enclosed pictures. Opinions are more than welcome. That's probably not trich. Looks more like stress bruising. 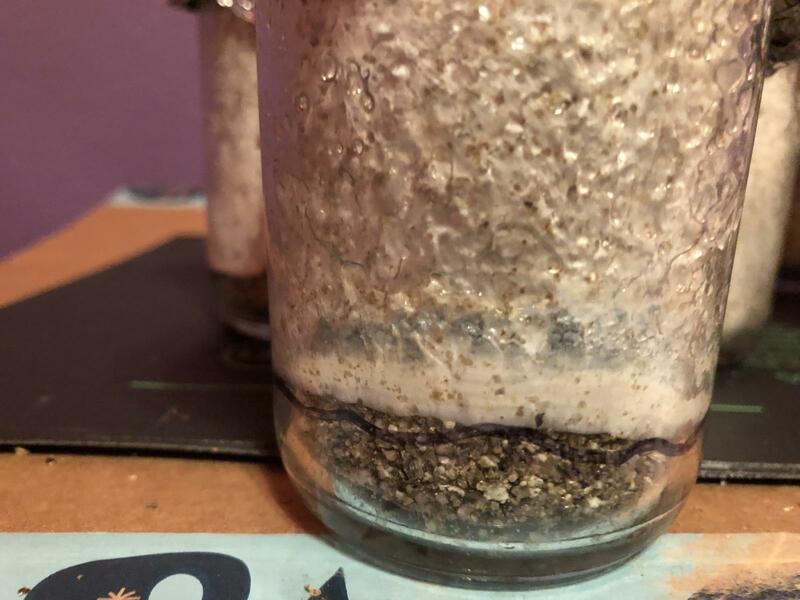 But, with the bruising and the noticeable thickening of mycelium those jars have probably colonized all they're going to. Since contamination is al least suspect here, give a few days, you should see pins in the next five days, birth then, rinse off any unionized material and fruit as normal. If you have a contamination, it will get a lot worse in those five days. What is stress bruising? That is a new one on me. One cause of stress bruising is the cake being to dry. Looks like those cakes have been cooked on the bottoms sitting on that heat mat. 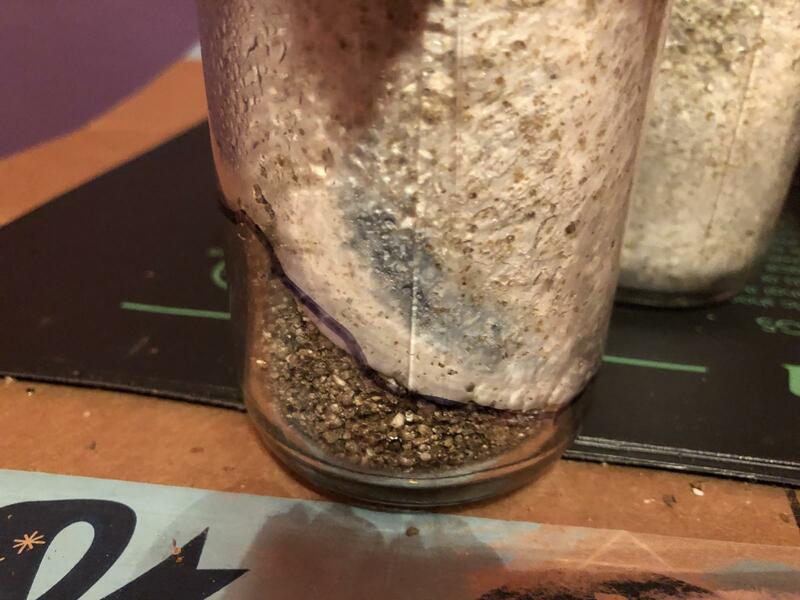 Yeah I agree with coorsMikey, it looks like they are not colonizing the bottom, presumably from getting too warm, that could be related to the bruise. I turned the heat mat off completely. There is one that went all the way to the bottom, but it is very possible about my cake being too dry. 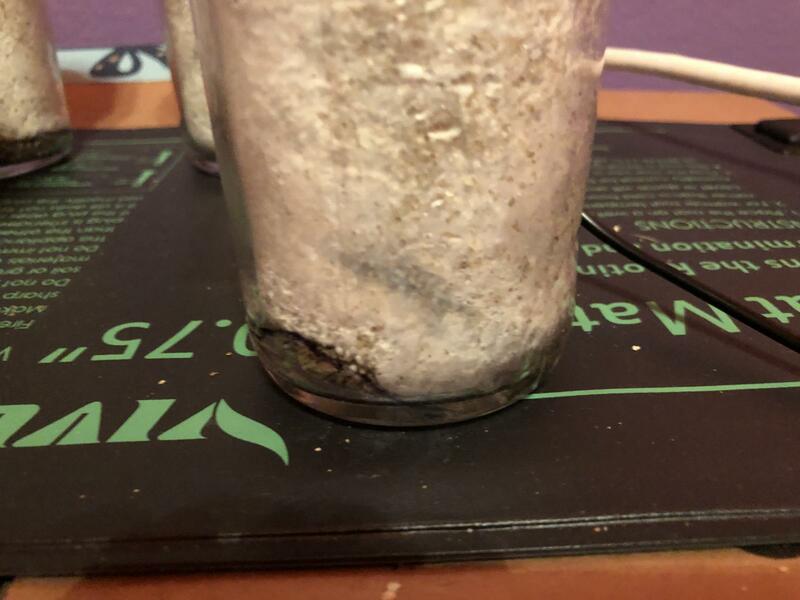 I bought the jars from a vendor. Now I know how to do it myself so I won't do that again. Thanks everyone for the input. If they are stalled and it seems like they aren't going to finish colonizing, you might want to birth them and cut off any uncolonized part with a alc wiped blade, it would fruit jusdt fine, but wait to see if it wont continue to colonize before doing this. I also remembered a tip someone gave me. They said to turn them over because of CO2. I will give that a whirl in the next hour. I also used a marker (another tip given to me) to mark where the growth ends. This way I will know for sure if they grow any more. I'm thinking if I don't see something by tomorrow afternoon; I will go ahead and birth and dunk.